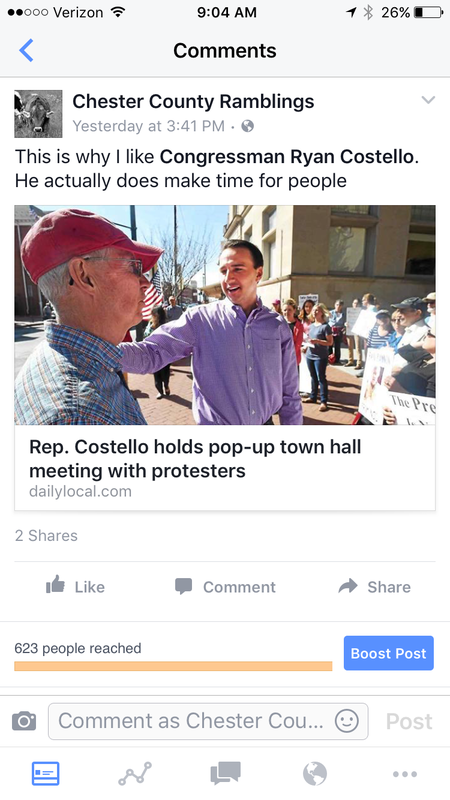 I shared a link from the Daily Local about Congressman Ryan Costello and a “pop-up” town hall meeting. 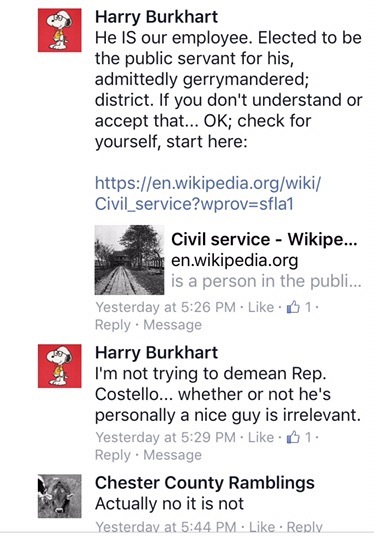 I said I thought Costello was a nice guy. Basically I have taken a lot of crap for that ever since. 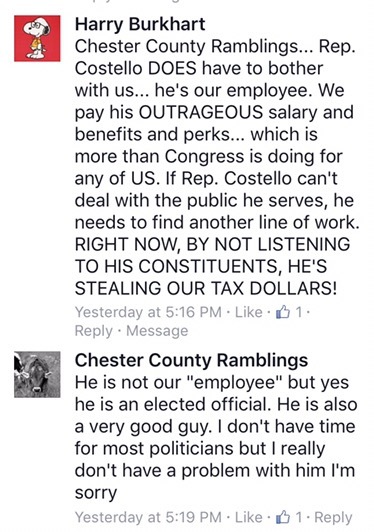 Congressman Costello, I do think you are a nice guy, but these folks are right: nice isn’t going to get you re-elected next time. We are. Or we aren’t. How it happens is up to you. Your constituency feels abandoned by you. You can’t just dance to the tune of party bosses and donors and PACs with deep pockets. Not trying to be offensive, it’s how the game goes. 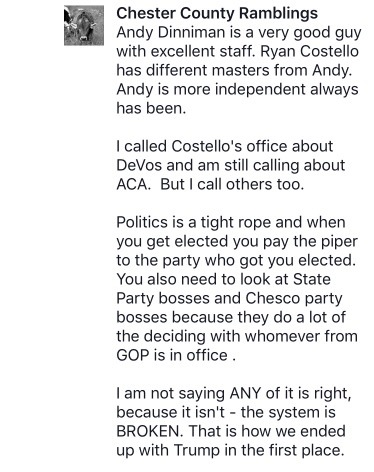 See below, Congressman Costello. Do the right thing. 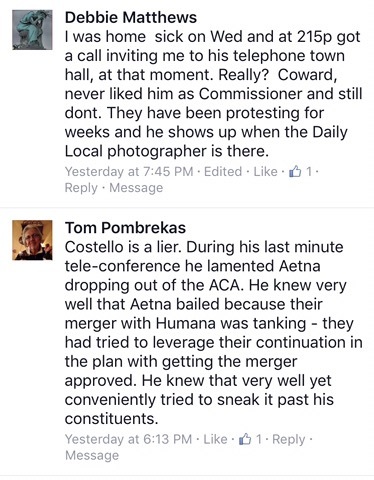 And by right thing I do not mean robo-calls that lead to on the phone town hall meetings. 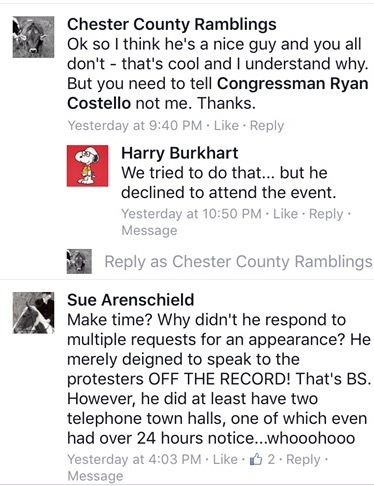 They aren’t town hall meetings they are conference calls where you don’t have to look your constituents in the eye. Do the right thing. 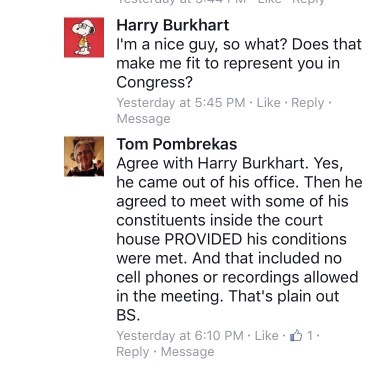 I might think you are a nice guy, but it’s not my job to take crap because of what you aren’t doing- I sure as hell do not work for any politicians. But I am a blogger and I do feel it is my responsibility to pass along these comments, even highlight them. 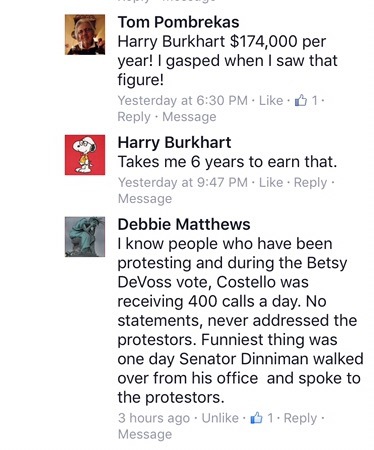 Good hardworking Americans from coast to coast feel completely disenfranchised by the current state of affairs in Washington DC. Truly we are terrified at what the land of the free is becoming. 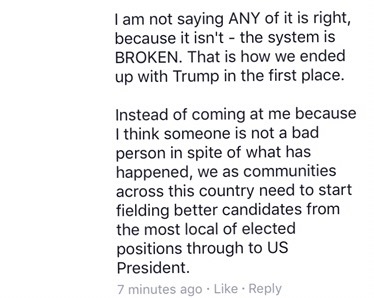 It’s like a cancer is spreading across this country. The only question is what will YOU do to stop it? It is once again, Bishop Tube season in East Whiteland. I last wrote about Bishop Tube this past January ( see toxic nightmare site bishop tube goes back to zoning…). Bishop Tube was postponed until February 27 Zoning, and somehow I doubt many residents impacted by Bishop Tube will be at the networking event this evening, but if I lived in General Warren Village I would go (but I digress). 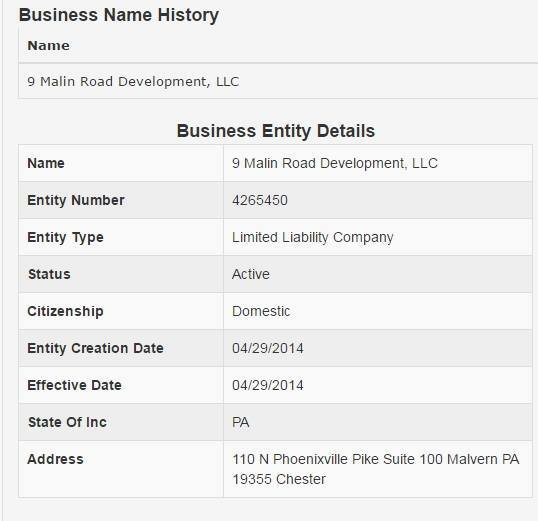 Above is the legal notice for Bishop Tube in front of East Whiteland Zoning. I will note there is NOTHING posted on East Whiteland’s website about this February 27th meeting yet…but hey why stay on top of sunshine on a sunny day, right? On Monday, February 27 at 7:15 there will be a township meeting to discuss the Bishop Tube Site project. Here is a brief overview from what we have learned so far. Bishop Tube is the old manufacturing facility that is located at the end of Village Way and is accessed by Malin Rd and route 30, near the Giant Shopping Center. 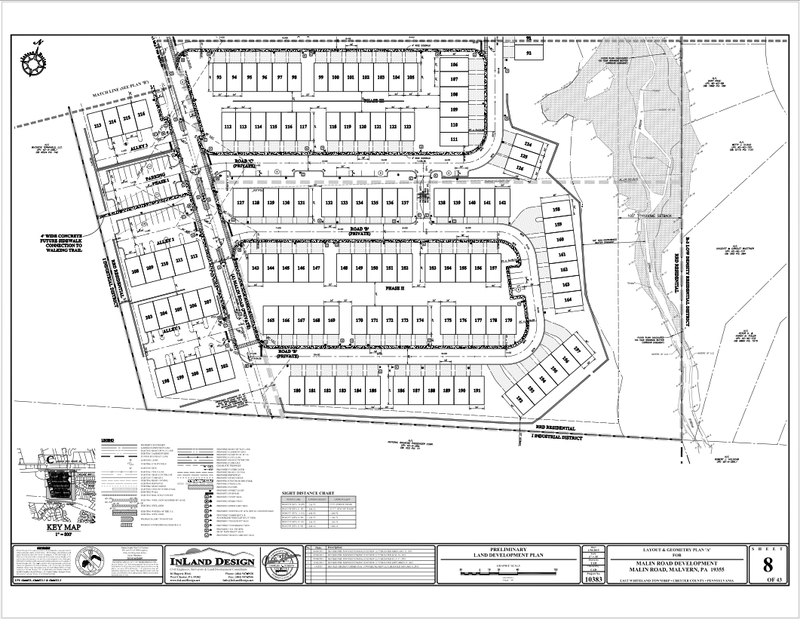 O’Neill Properties, who own this property now, wants to develop the site to include 228 town homes. They would be in rows of 3 to 7 in length and they are asking for a variance from the township for the rows that are greater than 6. 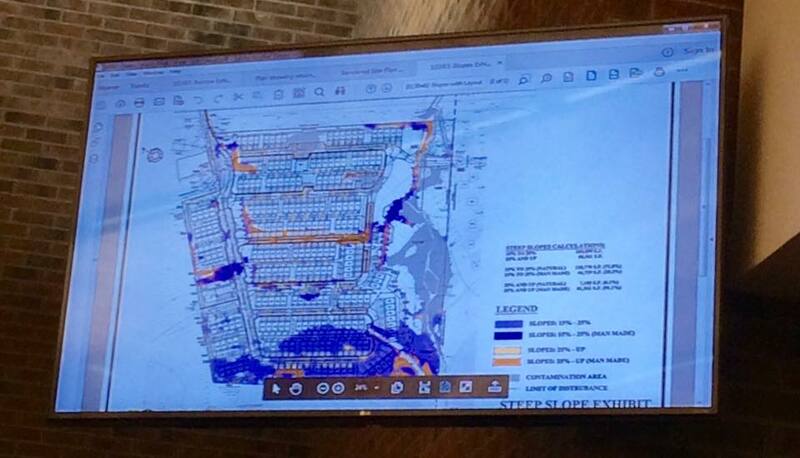 In addition, they are asking for variances to change the natural slope in the land. This would be to excavate the area and provide an area for the new housing to be built. In order for the sloping to work they would need to add a retaining wall around the east side of the property, along the creek. The highest point of the retaining wall would be 18 feet. At the meeting, we couldn’t tell from the drawing how this would look or impact the residents on that side of the Village. 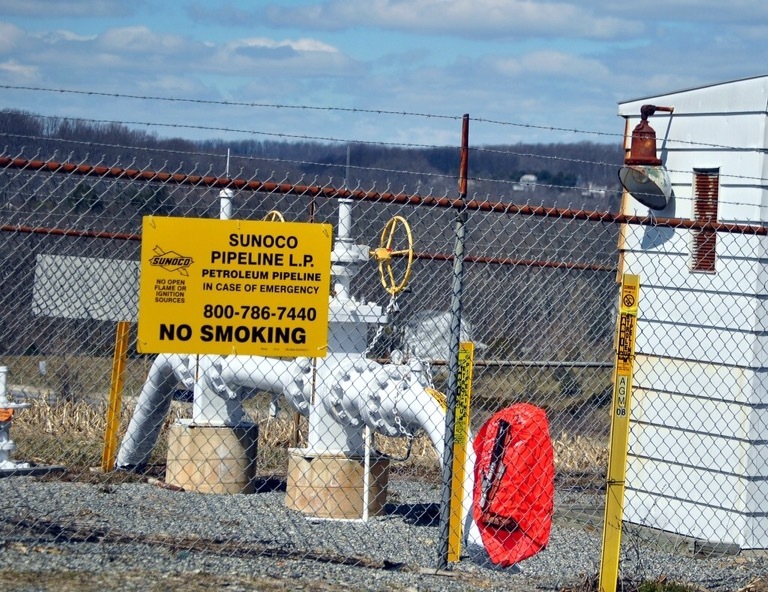 Within the property there are three areas where the previous owners reported the release of Trichloroethylene (TCE), which is a chlorinated solvent and is used commercially as an industrial degreaser. These areas would be cleaned up by soil excavation and would then become green areas. They discussed removing 6,700 cubic yards from the site as part of this cleanup effort. They also noted that the remedy for cleanup would be selected by DEP in 2017. 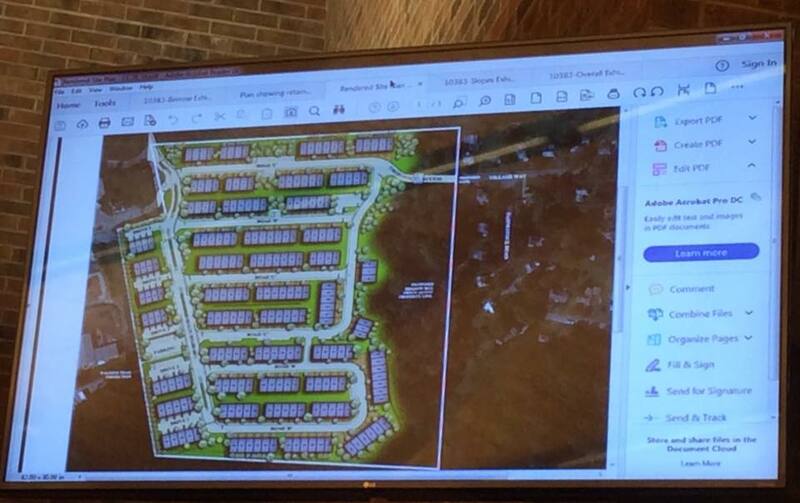 Another area of concern for Village residents is that they want to add emergency vehicle access from Village Way through to the new neighborhood. They are saying this would be needed because of the number of homes in the new development and because if there was a train derailment on the Malin Rd side, emergency vehicles would have to use Village Way to access this new neighborhood. Please come to the meeting on Monday. Your presence will help us show a concern for our neighborhood and hopefully help the township make the right decision. Once that dirt is being excavated what is the impact to the air quality and ground water? 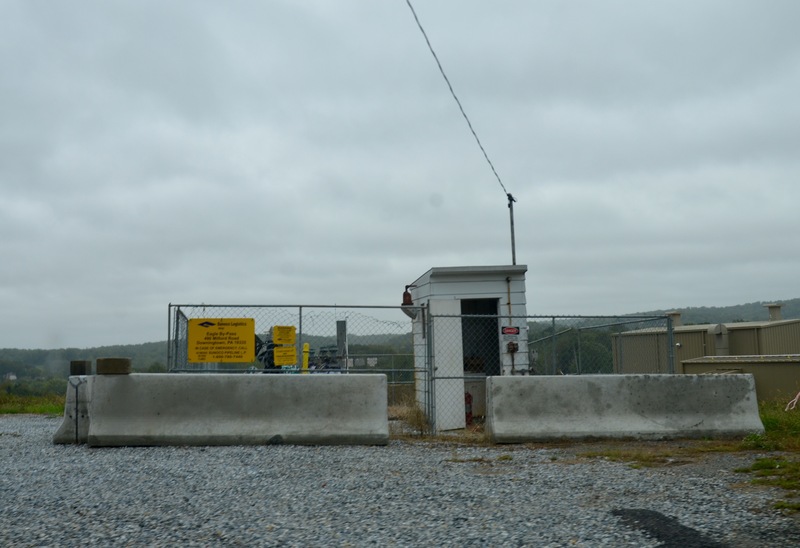 Will there be any additional ground testing to determine if other areas of the property have been impacted by contamination of TCE or other products? What are the overall impacts to living in proximity to this cleanup effort? How will the retaining walls look from our community? Are we guaranteed that their will only be emergency access from Village Way? So I wonder, are Benson Companies still doing the building? 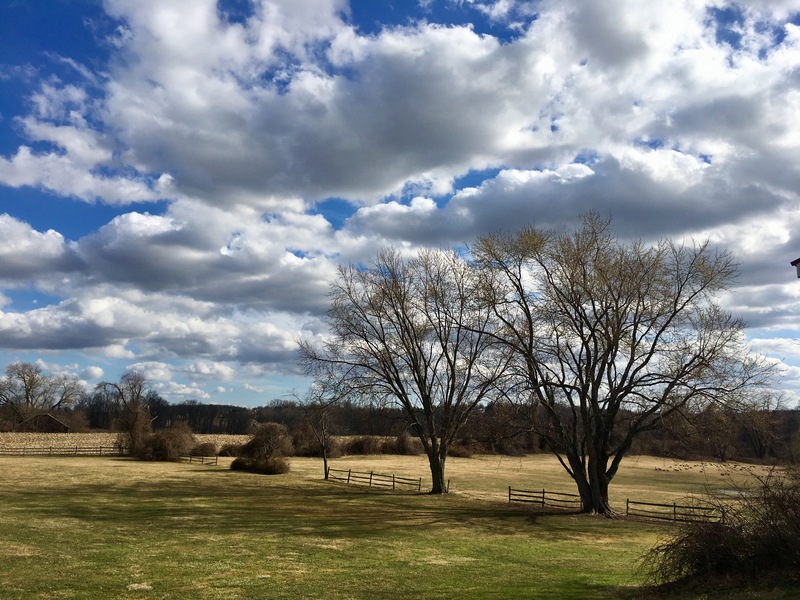 They are in spotlight in Chester County again, and not in a positive way for their planned development in Howellville in Tredyffrin aren’t they? I also wonder why so many units have to be shoved into/onto a toxic site? What about the potential issues down the road? Building slab on grade with no basements doesn’t necessarily mean any leftover chemicals that escape clean up will be encapsulated, right? And where are the DEP and EPA on this clean-up? Or is this all just going to disappear considering the new administration in Washington DC doesn’t seem to place much value on things that concern every day people? Density. How much do we need? Do we live in Chester County so we can feel like we live in King of Prussia, Bensalem, and development ridden Mongtomery County up the 422 corridor??? None of this development is ever done with consideration to existing residents who pay taxes in an area. None of this development is ever done with keeping all the OTHER plans in a municipality and neighboring municipalities in mind. All of these developments show up on flat, out of context plans on a monitor at a zoning or planning meeting as if the are some sort of Valhalla complete with Elysian Fields. Bishop Tube is no joke. It’s literally a deadly toxic site. 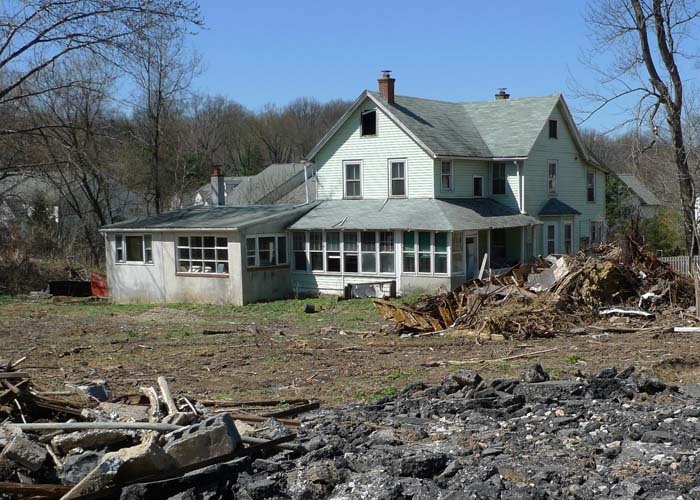 So before they approve HUNDREDS of living units with variances that a lot of residents feel will further squeeze a getting over-developed township AND a school district and not for the positive, how about someone show folks that the place is cleaned up? Or publicly state (including to the media) exactly where the clean up is? Yes, O’Neill has redeveloped many brownfields, built many units. But should we forget Riverwalk Millennium in Conshohocken? The multi-million dollar settlement to residents who lost everything and pets in that fire? Should we forget the battle in Massachusetts to keep him out of the Alewife forest? Sadly, in the end residents and nature lost that. 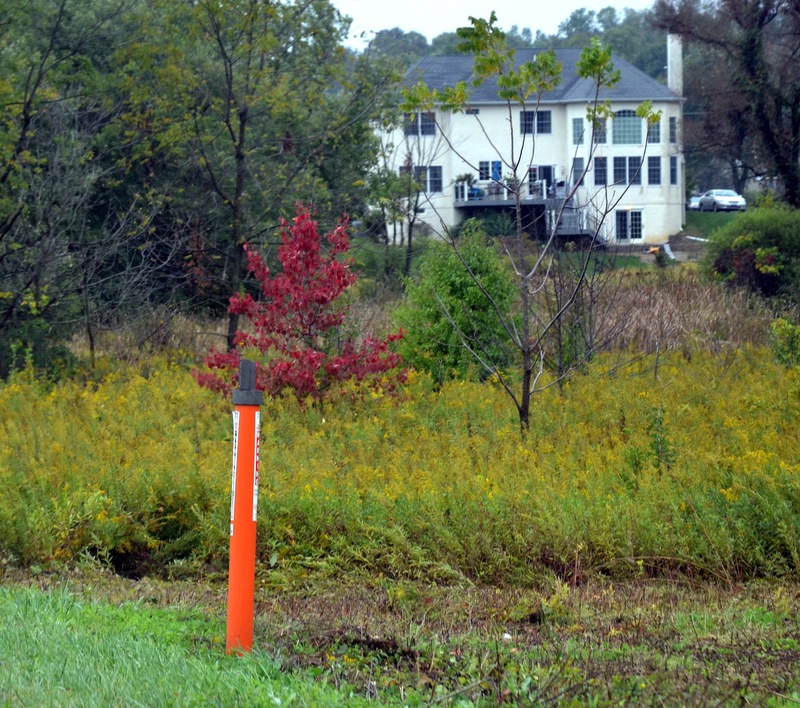 The silver maple forest was lost when approvals were given for the Residences at Acorn Park, a $70 million, 299-unit apartment complex in the Belmont Uplands, which residents there did not want, did they? 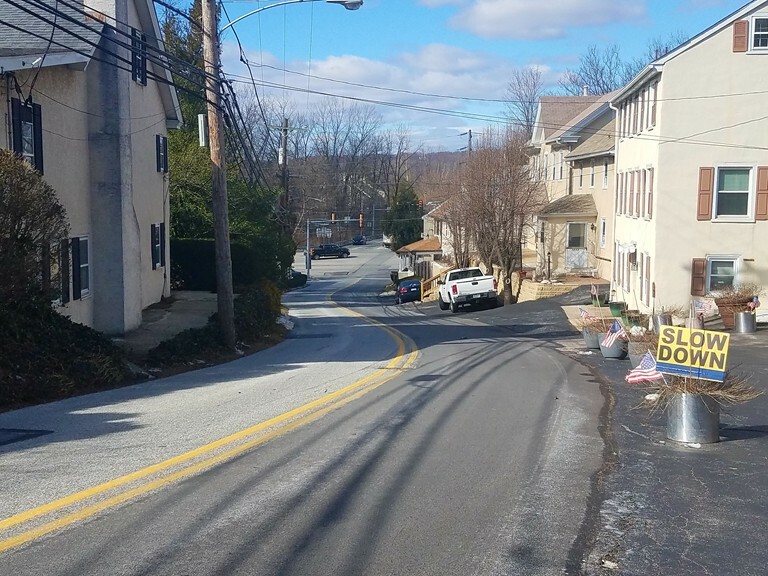 Or any of the developments in Lower Merion (Barker’s Mill and Rock Hill Road), a lot of which took years off the lives of residents attending meeting after meeting and what of the ones that never happened but stressed residents out? Narragansett Bay, the luxury condominiums at the Carnegie Tower have undeniable glamour. But the 22-story tower, which opened in the summer of 2009, turned out to be a losing prospect for developer J. Brian O’Neill. The 79-unit tower opened when the housing market was in freefall, and in 2012, 77 of the condos remained unsold….Within a few months after the opening, several prospective buyers sued to get their deposits back. 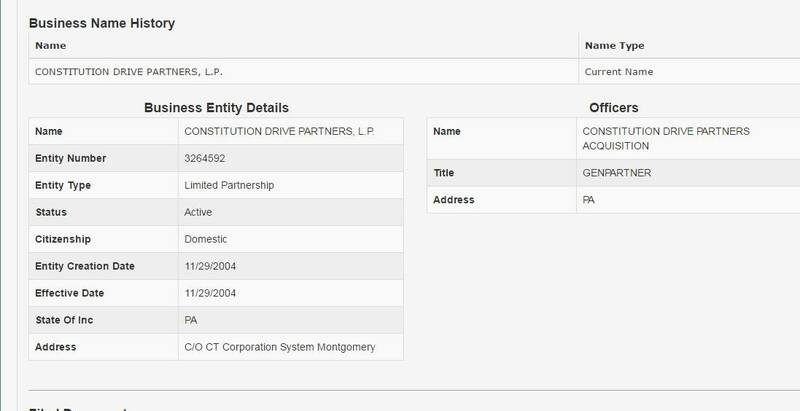 And in 2012, O’Neill had to refinance to avoid a planned tax sale of 77 tower condos by paying the Town of Portsmouth more than $2 million in back taxes. The final blow came in January, when the Pennsylvania-based builder turned over an estimated 68 of the condos to his creditors in a deed-in-lieu-of-foreclosure transaction. Ok so look at that tower? Remind you of anything else? Perched on 202 at 29 in East Whiteland perhaps? Royal Worthington? Everything looks the same no matter where it is. Myabe if I was a Stepford wife I would be more appreciative, but I am not. But what is more concerning is the occupancy as in truly how many live there and in other surrounding developments. I also do not believe Eastside Flats in Malvern Borough is filled to capacity and what about that tower like thing on route 3 near Matlack? The Pointe or whatever? Any of the townhouse developments around? Atwater? This is how the vision of completed Worthington goes. 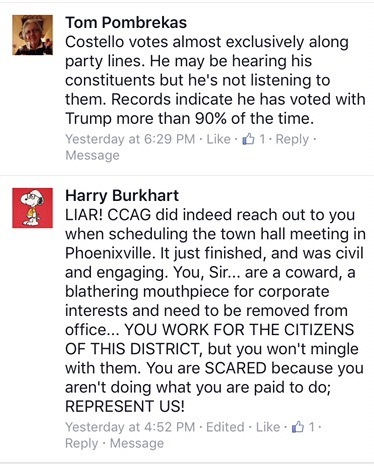 Does this look like the Chester County you want to see? It looks like the King of Prussia mall! All of these living units add people to our roads. They add kids to the school district. And no one ever talks about how that affects residents…until it is too late and communities are faced with a crisis. I have no problem with developments that are thoughtfully planned with an existing community in mind. Only you RARELY see that. Bishop Tube is a scary hot mess. And obviously there are still issues keeping the site secure because I just found a 2017 You Tube video about Bishop Tube. I never trespassed when I photographed. I shot from the street only. The people who need to pack the room on Monday, February 27 are the ones with legal standing as this is a zoning matter. So that is at it’s most specific, General Warren Village residents, and on the border Malvern Borough residents. But I also encourage anyone who can, to go out and support these residents. That is the best thing a community can do when not all have standing. Packed board rooms send a message. Stand up for your communities. If you don’t you will always get the short end of the development stick. Bishop Tube needs to be cleaned up before development occurs. It also needs less density. 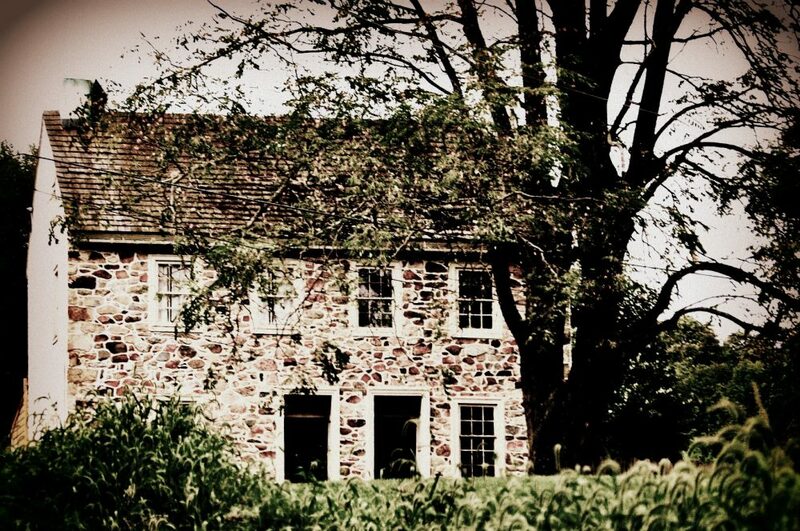 This photo was taken in 2010, long before I lived in Chester County. It was taken by d.coleman in June of 2010. I found it on Flickr. This is a screen shot of photo with attribution and description as found in yellow. Photographers have been photographing Bishop Tube for years and I hear that high school kids find their way onto the site as well? Look, O’Neill to an extent is a visionary…and a gambler. But I think to succeed where he has succeeded you can’t have one with out the other. 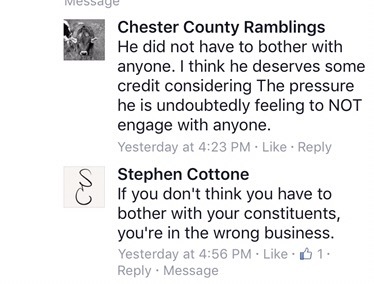 And yes, he has been extraordinarily generous with East Whiteland’s fire company, but why is it no one in East Whiteland (much like Tredyffrin and elsewhere in Chester County) can seem to hit a pause button on development or to actually fight for residents so that development is not so painful? Because residents are the ones who pay the piper after the first blush of ratables is concerned. Residents deal with the traffic, infrastructure issues, basic services and first responder (police/fire/EMT) issues, overcrowding in schools. There are so many developers, so many plans. But we live here too. And it is time for municipalities to hear us. Here is hoping residents totally pack the zoning hearing board on Monday February 27 at 7:15 PM at East Whiteland Township. And I hope the residents of General Warren Village represent. The bottom line is something is going to get built on Bishop Tube. It’s a gross, toxic eyesore. But what gets built, how the remediation goes, and so on still has to do with how the community feels. If residents do not turn out, they will lose one of the few opportunities they have left to have a say. My opinion is O’Neill can do this if he wanted do it with less density. Or he could offer another use for the property that wouldn’t impact residents so horribly. But people have to turn up and speak out. Because look at it this way: if this plan gets approved and sold to yet another developer, the community needs to lock in the plans to the best that the community can get and stomach. And most importantly to ensure the remediation is done the best it can be, right? I was going to antiques shows before I could spell “antique”. It was something in particular my late father loved to do, and for years my mother was a volunteer for the Philadelphia Antiques Show, and even I volunteered for a couple of years in the 90s. Antiques shows and sales and auctions are just things I love. Even if most of the time I am just looking and not buying. Anyway I first bid at an auction at Josie Narcisi’s. When I was much younger (as in still living with my parents) my elderly neighbor and his housekeeper took me to my first auction. My neighbor was a real and serious collector of beautiful antiques and taught me how to bid at my first auction. I still remember what it was I bid on – it was a box a lot of mixed items for $25. Today it was like coming full circle when I went to pick up a small porcelain box I won in an auction at Converse Auctions….at 57 Lancaster Avenue in Malvern. 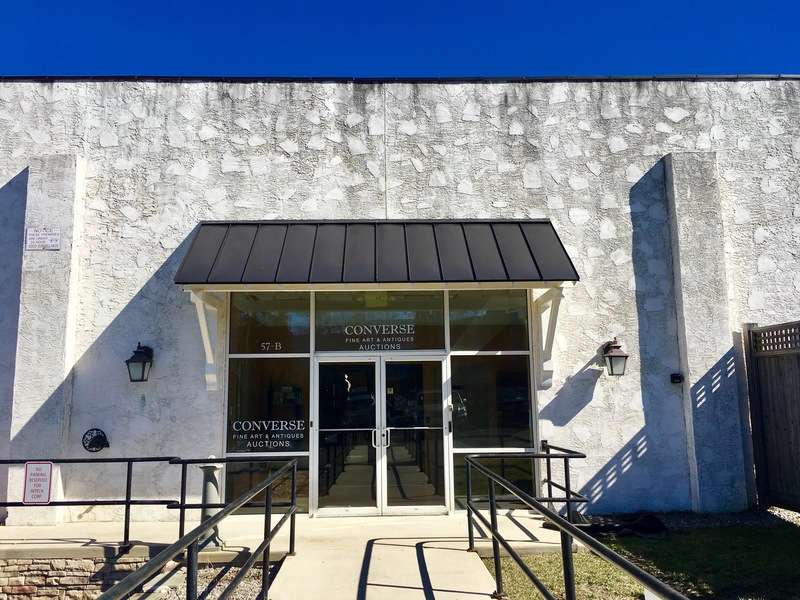 Converse Auctions is the business of Todd Converse, whose father is Gordon Converse of Antiques Roadshow fame. I stumbled across the notice for the recent online auction somehow – Facebook maybe – and decided to register. I never in a million years thought I would win anything because most of everything that was in the auction was out of my price range. But there was one little tea caddy box that I thought was lovely so I bid on it and for $60 it became mine. That is the fun thing about auctions: you just never know. Anyway it was a totally fun experience, and for those looking for places to consign better antique items, they accept consignments for future auctions! And every Tuesday they offer free appraisals during business hours – just contact them for details. And while we are talking shows and auctions one of my favorite shows is coming up – The Chester County Antiques Show! The Chester County Historical Society (CCHS) is widely respected as one of the Commonwealth’s premier history museums and educational centers, playing an important role in history education, cultural diversity and economic impact for the Southeastern Pennsylvania region. In its 35th year, the Chester County Antiques Show is CCHS’s largest community and fundraising event. Chaired by Francis “Fran” B. Jacobs II. and Chuck & June Piola, the show will be held from April 7-9, 2017 at the Phelps School. The Phelps School in Malvern is a unique facility which features accessibility, spaciousness, and natural light that will create the perfect setting for the vendors and all of their antique items. The theme of this year’s event is Botany. The show attracts visitors and collectors every year to view its variety of items and furniture. We invite you to support the 35th annual show by becoming a sponsor of this one-of-a-kind Chester County tradition. Sunday, April 9 – General Admission from 11am – 5pm – $15.00 per person. Children 10 and under FREE.